The Election Commission has ordered repolling in six booths, where first phase polling was held on December 9. GANDHINAGAR: The Election Commission on Tuesday ordered repolling in six booths, where first phase polling was held on December 9. The repolls will be held on December 14. 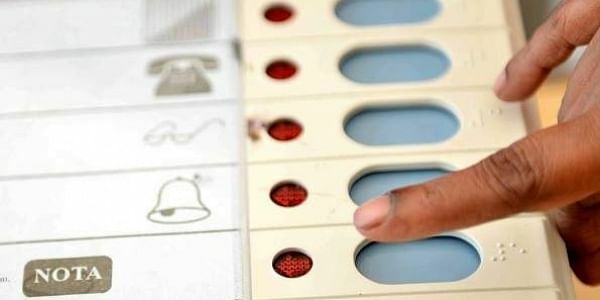 Chief Electoral Officer of Gujarat BB Swain said the poll panel has cancelled the results stored in the Electronic Voting Machines (EVMs) in six booths in four constituencies of the first phase of elections. The presiding officers of these booths had forgotten to wipe out the mock drill poll results necessitating the re-election. These are Dhunda and Manpar booths in Jam Jodhpur assembly constituency, Bandharda and Gangda in Una constituency, Chorwad in Nizar constituency and Chanod colony, Chanod in Umargaon constituency, both the latter are Scheduled Tribe (ST) constituencies. "The reasons for cancelling these booth results is that the Presiding Officers (PO) had forgotten to wipe and delete the existing mock poll drill in their EVMs. We have initiated necessary actions against these lax officials," Swain told the IANS. All the voters of these booths, the concerned officials and political parties have ben informed bout this change. The repolls will be held along with the second phase elections for the remaining 93 seats of the 182 seat state assembly. The counting will take place along with Himachal Pradesh on December 18.